Should you use a travel agent to help you book your cruise? This is a physical travel agency located in your city. Convenience: Since it’s in your neighborhood, you can stop in at your leisure or while you’re out taking care of other errands. Personal service: You can speak to a travel agent in person, which can be particularly useful if you have a question or a problem to solve. Broad array of products: Your local agent likely can assist you with airline tickets, tours, and other travel options in addition to your cruise. Neighborhood support: Your cruise booking helps bolster a local business owner and local employees. Price: A small agency may not sell as many cruises as the big players and may not have access to some special offers and promotions. Limited hours: Your agency may not be open evenings and weekends when you encounter a problem or need to speak to someone. Lack of expertise: Since your local agency sells many types of travel, its staffers may not be as knowledgeable about cruises as a specialist agent would be. How to find the best local travel agency? The good news is there’s no shortage of resources when it comes to finding a good local travel agency. A great way to start is simply doing your own research online. In most cases, there’s no shortage of reviews, comments and recommendations from previous travelers. You can simply perform a search on Google or your preferred search engine for “local travel agencies” and you will undoubtedly receive several results. You can also look for trusted resources like Yelp, Yellowpages and others where users have happily provided feedback. Another great option is to utilize social media. Ask for recommendations on Facebook from family and friends. It’s a great way to get resources from people you trust. Not all travel agents are experts in the cruise industry. It’s best to find a travel agent that specializes in helping travelers book cruises. The right travel agent will be able to book a cruise that fits your needs. This requires a good understanding of what each cruise line and ship offers and how they line up with what you’re looking for in a cruise vacation. If you’re a couple looking for a quiet and romantic cruise, your agent needs to know enough to steer you away from lines and itineraries that cater to the loud party crowd. These are travel agencies that, first and foremost, sell cruises. You’ll find these agencies online, but they typically handle as many bookings over the phone as they do over the Internet. 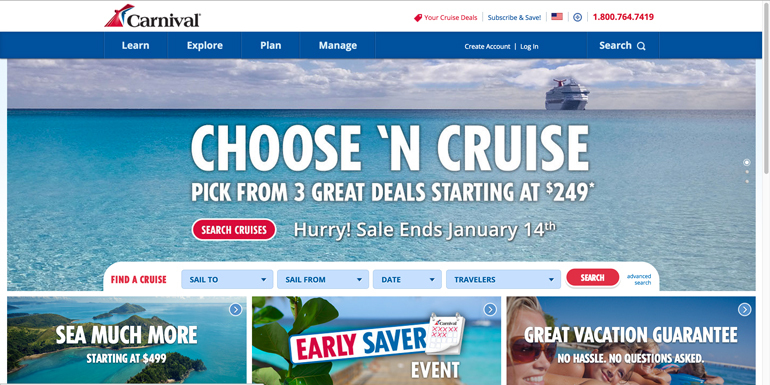 Examples are agencies like CruisesOnly, Cruise.com, Cruise411 and CruCon Cruise Outlet. In the interest of full disclosure, Cruiseline.com’s parent company, World Travel Holdings, owns CruisesOnly, Cruise411, and several other cruise-specialist agencies. Price: Cruise-specialist agencies sell more cruises than anybody, so they have the lowest prices and exclusive promotions. Access to “sold-out” cruises: These agencies book dedicated space on popular sailings and often have cabins on cruises that everybody else lists as sold out. Cruise knowledge: Agents at these businesses are cruise experts who have firsthand experience with the most popular ships and can tailor recommendations for your particular needs. Call center: You’ll likely have an assigned agent as a single point of contact for your reservation, but he or she will probably be located in a large call center on a scheduled shift and may not be in the office when you need to make contact. In that event, you’ll have to deal with another agent who may not be familiar with your booking. Sales goals: These agencies often receive incentives from the cruise lines to sell a specified number of cabins on a particular ship or line in a designated time frame. Don’t book a particular cruise just because your agent is pushing a specific ship or line above others. Ensure the ship and itinerary are right for you. How to find the best cruise-specialist agency? Cruise-specialist agencies live and breath cruising. So if you’re looking for detailed information, tips and advice from experts who know the industry inside and out, this is where you’ll find it. But, just like your local travel agency (and pretty much every option on the list), to find the best option you’ll need to do your research. For the most part, these type of agencies will have no shortage of reviews and engagement from users. Check social media to see the conversation surrounding each agency as well as their reviews. If their website has a forum, you can often find users sharing their opinion about their experience with the company. Browse their forum portion of their website and see if you find any red flags. Lastly, take some time to engage with the website to analyze their booking process. Is it simple to find the information that you need? Is their clarity in what you’re booking? Do they identify all fees and financial obligations? Can you easily talk to someone directly if you have questions? This is all about the trust factor, and when making a purchase like this you want to know that you can fully trust who you’re doing business with. Cruise-specialist agencies know cruising. They have in-depth knowledge and more than likely they have first-hand experience. This can definitely be a major plus when needing help to meet your cruise needs as well as finding the best cruise deals. Also, they can have direct relationships with cruise lines which can open up certain options or deals that travel agencies might not have access to. However, keep in mind that with those close relationships come incentives for these particular type of agencies. They may sometimes get a little pushy with a particular cruise line. Keep asking questions on why their recommending this cruise. There are numerous online agencies, the largest of which include Expedia and Orbitz. As the technology evolves, these have become an increasingly popular method of booking cruises. Convenience: Available 24/7, these agencies are just a click away when you’re ready to plan your vacation. Price: The big three sell a lot of cruises, so you’ll get a competitive price and the best promotions. Broad array of travel products: Need an airline ticket to fly to your cruise port, or want to stay in the city a few days before you board the ship? An online agency has that covered. On your own: When you book online, you plan every detail of your trip yourself. Need help? You have to pick up the phone and possibly hold in a queue to talk to an agent in the call center. Impersonality: There’s no one to give you advice, suggest the best options for you and your family, or help you cut through the clutter. If you make a bad choice, there’s no one to blame but yourself. 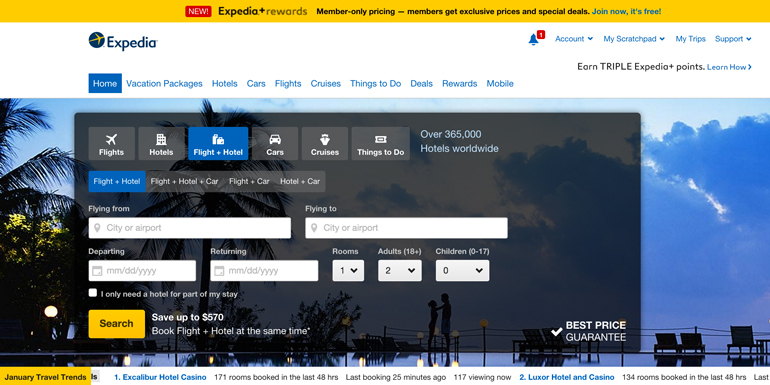 Complexity: Booking a cruise online isn’t as easy as buying shoes from Zappos.com, so if you’re tech-averse or nervous about purchasing items over the internet, this probably isn’t the option for you. How to find the best online travel agency? Many users tend to go with the brand they recognize the most or have used in the past. This is not necessarily a bad thing, but you might want to take some time to shop around before committing to what you’ve always used to book a hotel or flight. Remember, cruises are a whole different ball game. Booking a cruise with an online travel agency requires you to do the majority of the work, so it’s important to have all valuable information easily available. Choosing the right cruise is normally not as simple as 1-2-3: There are dozens of different cruise lines, plus hundreds of ships and itineraries to choose from. Not having access to certain information can cause you to book the wrong cruise. If you plan on using an online travel agency, it’s best to shop around between several different options. You can find a great deal with an online agency, but it can take some digging. Even if prices seem similar, different agencies often have special bonus perks that they add on for free, like free beverage, dining, or internet packages. Whatever you do, don’t get caught up in the flashing lights and marketing jargon that pushes you to “Book Now for the best deal!”. Take your time and avoid any unpleasant surprises because you didn’t take the time to read the fine print or shop around for better deals. You will be doing a lot of the planning on your own. If you think this may be too much to handle, it’s probably best to consider a different path to booking your cruise. But, if you’re a real DIYer and want a lot of options and prices to sort through you won’t be disappointed. These typically operate as sole proprietors or franchises and affiliate themselves with a host agency. They often work from home, and you’ll find them on the Internet and social media. They generally work with customers from across the country, regardless of the agent's physical location. Personal service: You’ll deal with a small-business owner who has every incentive to give you good customer service so you’ll become a repeat customer and refer your friends. Availability: A single agent won’t be available 24 hours a day, and you may experience a delayed response to your phone calls or messages. How to find the best independent agent? In many cases, finding the best independent agent is going to come from word of mouth recommendations. With an independent agent, you’ll most likely get great customer service because their business almost entirely depends on referrals from customers and repeat customers. You will probably find these agents through social media or a family/friend recommendation. If you happen to come across an independent agent that you’re interested in, just have a conversation. Ask about their experiences, what type of vacations they usually book for customers and if they have any recommendations. Their availability could be limited as most work from home and set their own schedules. But, it’s a one on one experience where you can build a good relationship with someone that can help you book most of your vacations in the future. You cut out the middleman entirely and book directly online or by phone with the cruise line you want to sail on. Simplicity: If you’re loyal to one cruise line and always sail on its ships, you may not feel you need to spend time shopping around or comparing prices. Just call or go online and book your cruise. Limited options: If you call Carnival Cruise Lines, for example, a representative will only book you on a Carnival ship. That might be OK if you’re an experienced cruiser who's determined that Carnival is the right fit for you, but cruise newbies should consider objective advice about all cruise lines before picking their first sailings. No extras: Many travel agents include a booking incentive like a bottle of wine, a coupon book, or even shipboard credit that you can’t get when you book directly with the cruise line. Difficult comparisons: If you want to look at different cruise options between several cruise lines, doing so involves multiple phone calls or visits to numerous cruise line websites. How to find the best cruise line? This is an option that many travelers choose, especially once they find their favorite line. While booking directly through the cruise line does have it’s benefits, there are steps you still need to take to find the best for you when booking a cruise. Like the other options, it all starts with research. If you just visit the cruise line online or call them directly, you’re going to get a biased opinion. Before engaging the cruise line directly, do your research. Find out what the cruise lines offer and what you can expect as a traveler on board their ship. While Cruisline.com provides an excellent database of cruise line information, traveler reviews, cruise offerings and more, we encourage you to check out as many resources as possible to make the best decision. Once you’ve done your homework, you can ask the right questions and make sure that this particular line is going to meet your cruising needs. Working directly with the cruise line will limit you to only what they offer. Make sure to do your research to help you decide which cruise line you want to work with to avoid missing out on the best cruise experience for you. For inexperienced cruisers, we advise playing it safe and going with an agent (options 1, 2, or 4). Having an experienced professional to offer advice and help you through the more confusing parts of the process can save you a lot of time and frustration. New to cruising and not sure where to start? Check out our cruise guide for first-timers. After your first cruise, if you've done a lot of research, feel confident, and prefer to "do it yourself," consider option 3 or booking online on a cruise specialist's (option 2) website. That way, you get the convenience of booking online but still have access to the expertise and resources of an agent should problems arise. If you’re an experienced cruiser, you might have developed an existing relationship with an agent that you want to maintain. If not, and you're familiar with the cruise line, you can book direct (option 5) but make sure to compare prices to make sure you get the best deal. Resources like our cruise search tool make it pretty simple. What's your preferred way of booking a cruise? I use option #2 and have never had a problem. Tip though just don't book online call the number and talk to somebody they are really helpful. I used a brick and morter travel agency for my first 24 cruises. This time I'm using the cruise line web site. I think I know what I want and where I want to go. I booked my trip through a travel agent. No muss no fuss, answered all question that I asked. *Cruiseline.com is not a booking agent or travel agency, and does not charge any service fees to users of our site. Our partners (travel agencies and cruise lines) provide prices, which we list for our users' convenience. Cruiseline.com does not guarantee any specific rates or prices. While prices are updated daily, please check with the booking site for the exact amount. 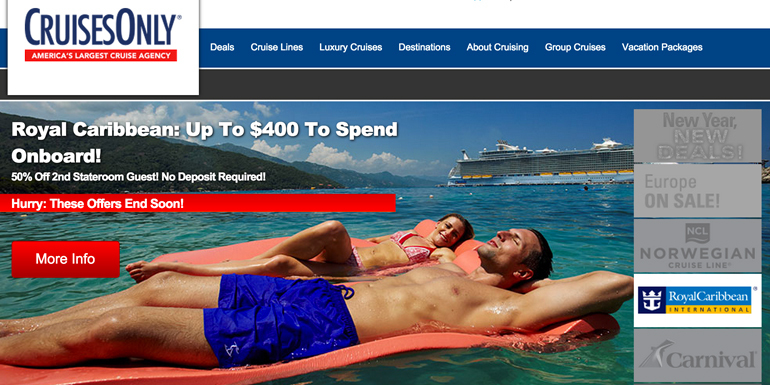 Cruiseline.com is not responsible for content on external web sites. The best of our user-generated content, from verified cruise reviews to member tips. The results of our exclusive "Sail Score," a ranking of top cruises based on member ratings of both ships and itineraries. Recent articles, including expert reviews of the latest ships from writers who have "been there, sailed that." Receive a Free Gift - The Cruising 101 Handbook! You'll also get a free gift — a downloadable, printable PDF of our guide to cruising! Join over a million other cruisers and get weekly advice, news, and deals delivered straight to your inbox! Send us questions, comments or feedback. Or just say hi. We would love to hear from you! Need help from a personal vacation planner? We partner with the best cruise travel agents. Fill out below and they will get in touch! Join over a million other cruisers and get advice, news, and deals delivered straight to your inbox! Join other subscribers and get the best cruise deals of the week in your inbox every Thursday.